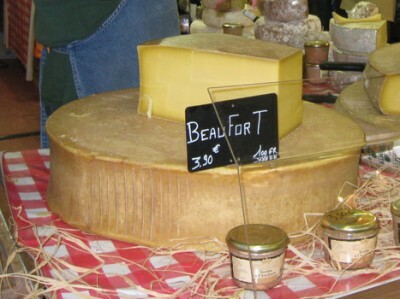 The French are using whey left over from making Beaufort cheese as fuel for electric power stations. Tr`es brillant! Having done some home wiring, this impresses me as a truly epic screw-up. And I'm curious how the workmen could have managed to wire up something like this accidentally. Based on the description (the fact that the homeowner had to switch off the main power feed and not just one circuit to turn off the street lights), I'm guessing that the workmen must have somehow got power going back out of the house through the neutral line, and then fed this into the street lights. SHEFFIELD, Eng. 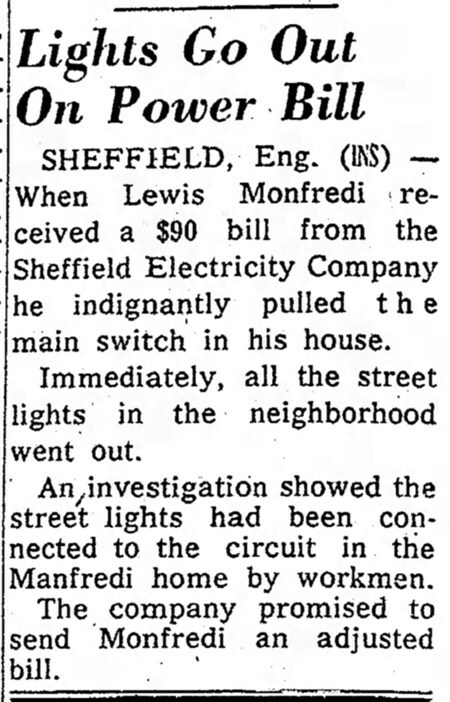 — When Lewis Monfredi received a $90 bill from the Sheffield Electricity Company he indignantly pulled the main switch in his house. Immediately, all the street lights in the neighborhood went out. An investigation showed the street lights had been connected to the circuit in the Manfredi home by workmen. 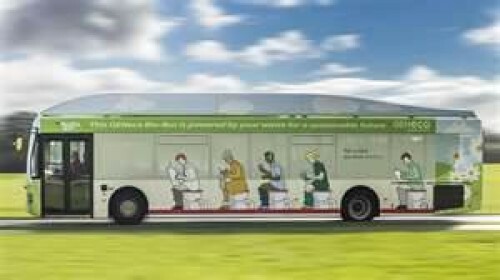 The company promised to send Monfredi an adjusted bill. Read Any Good Meters Lately? Electricity: too cheap to meter!